Graphic design is a creative and iterative process, which starts by working with a client to agree a brief, preparing a range of design solutions, agreeing a final design, then providing the client with a finished product. A graphic designer uses a range of visual tools to create a design including typography, image creation and manipulation to page layout techniques. 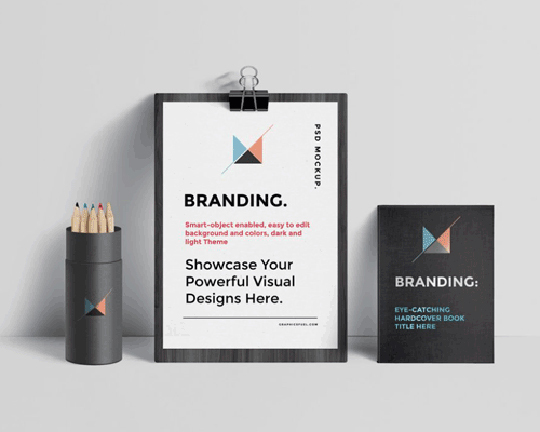 Common uses of graphic design skills can include identity (logos and branding), business stationary (letterheads, business cards and postcards) and publications (brochures and other corporate material). Are you looking for a reliable graphic designer? Here at Horndean Graphics, we take the time to understand your needs, expectations and goals. No one knows your business and products like you do, it’s our job, to take that knowledge and present it in a visual way. Does your business needs a revamp, are you starting from scratch? Whatever your graphic design needs are, we can help. ‘Horndean Graphics gave us trusted reassurances and provided a piece of artwork that was professionally crafted and on time and on budget! Top marks'. Interested to know how we can help you grow your business? Get in contact today to discuss your business needs. How does our graphic design services work? Firstly we will discuss what you want to achieve, your budget and timescales. We will work together and agree a project brief, which will outline the work Horndean Graphics will undertake for your business. If you’re unsure of what you want from your graphic design project, don’t worry. We can help by asking questions that will get you thinking. Once the brief is finalised, we will produce a selection of initial ideas and send them to you digitally for you to consider, then arrange to discuss your thoughts either in person or on the phone, whichever suits you best. From your feedback we will develop your chosen design adding any of your chosen content and images, making any changes from your feedback as we go in order to finalise the design. You complete a final check and sign off the final design. We will then prepare the design for print, liaising directly with the printer on your behalf. What we can design for you? Flyers – DL, Trifold, A4. Please use the 'Contact Us' form, for email enquiries. ALL RIGHTS RESERVED © 2016 - 2019. Graphic and Web Design | Horndean, Hampshire, England, UK.